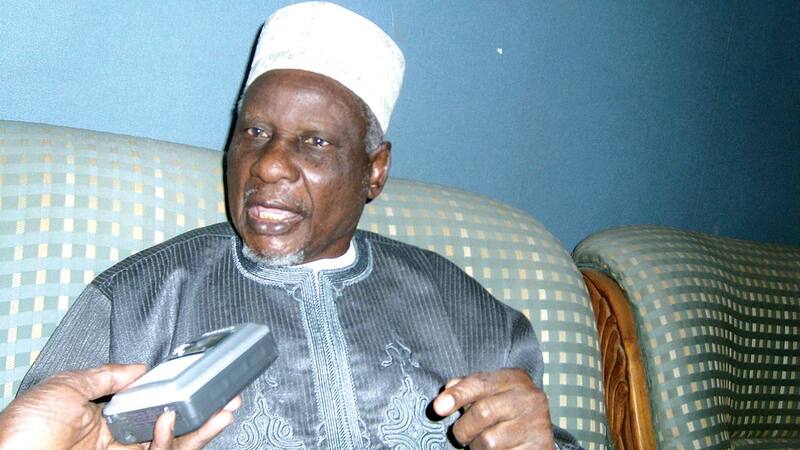 The All Progressives Congress (APC) and the Independent National Electoral Commission (INEC) have rejected the claim by the elder statesman and politician, Alhaji Tanko Yakassai, that the 2015 general election was massively rigged in the north. Yakassai disclosed the rigging to journalists when he led the newly formed Northern Leaders Stakeholders Assembly to former Military President, Gen. Ibrahim Babangida, at his Uphill Mansion in Minna, the Niger State capital at the weekend.He cited instances of manipulation in the elections. He said while the card readers were religiously used in the southern part of the country, they were not so deployed in the north. “There are many ways of rigging election. What happened in 2015 where the majority of southerners resident in the north were scared away from their places of residence, where they had registered, to their place of origin and therefore could not have the opportunity to vote, was rigging.“Again some of the southerners who did not run away were afraid to come out and vote on the day of election, so scaring people from coming out to vote for the candidates of their choice is also a form of rigging,” he told reporters. But in a reaction yesterday, the National Publicity Secretary of the ruling APC, Mr. Bolaji Abdullahi, dismissed Yakassai’s claim. He hinged his argument on the conclusion reached by international observers and other monitoring agencies that the 2015 election was considered the freest, fairest and most credible election so far conducted in the country. “If Senator Ibrahim Mantu could come out to confess how he helped the erstwhile ruling Peoples Democratic Party (PDP) rig election in the past, the onus is on Yakassai to back up his claim with substantial evidence.”Abdullahi added that Yakassai’s position must have been based on his local experience during the election. “However, the fact available both to the internal monitoring agencies and those from outside is that the last general election was the best in the history of Nigeria,” the APC’s spokesman said. The Deputy National Chairman of the APC, Segun Oni faulted the claim that the poll was rigged to usher President Muhammadu Buhari into power.Oni, who spoke to reporters after picking his N5.5 million worth expression of interest form to vie for the July 14 Ekiti governorship poll, maintained that the outcome of the 2015 presidential poll was a true reflection of the wishes and aspirations of the electorate. Some eminent Nigerians who spoke on the issue yesterday differed on what should be done with Yakassa’s claim.The Secretary General, Yoruba Council of Elders (YCE), Mr. Kunle Olajide, supported the call to raise a judicial commission of inquiry to investigate the claim, saying it would enable Nigerians to get further facts and also prepare them for the coming elections. For a former President, Nigerian Bar Association (NBA), Olisa Agbakoba (SAN), an active civil society organisation, in collaboration with the political parties, should work seriously to ensure that INEC conducts free, fair and credible elections in 2019.“If Nigerians fail to ensure that INEC gets the coming election right, we may be surprised that somebody we do not want will again emerge. It is, therefore, our duty and responsibility to mobilise people to get the Permanent Voter’s Card (PVC), vote and ensure that their votes count,” he said.